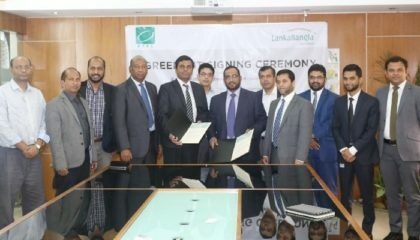 LBIL as a premier investment bank has positioned itself prominently in the investment baking arena of Bangladesh’s capital market with its wide range of services in corporate advisory, issue management and portfolio management services. LBIL provides assistance to institutional clients seeking to raise funds through Issue Management, Capital Raising & Private Placement. The Investment banking wing of LBIL aspires to be the leading trusted Corporate Advisor and Investment Banker to its clients. LankaBangla Investments Limited takes pride in the quality of its people and the collective track record they represent. From the time of its inception LBIL has made the best effort to attract and retain the best minds in the business and investments, with broad-ranging expertise in Investment Banking Services, Primary Market Services & Portfolio Management Services. 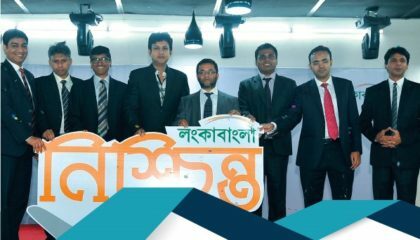 Our excellence is evident, as we always completed Landmark deals and a Trend setter in the capital market of Bangladesh by introducing new product and services continuously. LBIL is able to harness investment banking opportunities for our clients and add value to their pursuit of competitive advantage, productivity and profitability at a domestic and regional level. We will stay focused and relentlessly pursue our promise of excellence. Staying on the course in good times and bad times to achieve our goals, we will stay strong in the face of new challenges by being flexible - continuously adapting and improving. As a subsidiary of LankaBangla Finance Limited, the mother company, LBIL is backed by its wide range of financial service providing expertise. LBIL sees opportunities in corporate, institutional and investment banking via the building of synergistic alliances among businesses with that of the LankaBangla Finance Limited and taking brokerage service from LankaBangla Securities Limited, the top broker in country. LBIL practices uncompromising integrity and ethics in all of its dealings. Backed by LBIL’s rigorously specified and documented code of ethics and professional conduct, LBIL employees are always properly aware about the most updated laws and regulations regarding capital market and other operations. LBIL truly believes that acting ethically is imperative to build an efficient and well-structured capital market and it’s mandatory for the employees of LBIL to be properly aware and abide by the rules and regulations of governing body as well as act according to the code of conduct of LBIL. By orienting our interests with those of our clients, LBIL has become a trusted partner for retail investors, institutional investors and business partners. Many of the top institutions in country value and trust LBIL as their prime business partner and corporate-financial advisor. Advisory clients recognize that we bring a deep understanding of their strategic objectives and a commitment to provide effective solutions to all assignments. From its earliest days, LBIL has come to believe that client’s interest comes before everything else. Clients first stand for professionalism, trust and a devotion to excellence. It’s the clients for which we are here all time and it’s the most important motto of LBIL to serve our clients in a way that maintains their best interest.